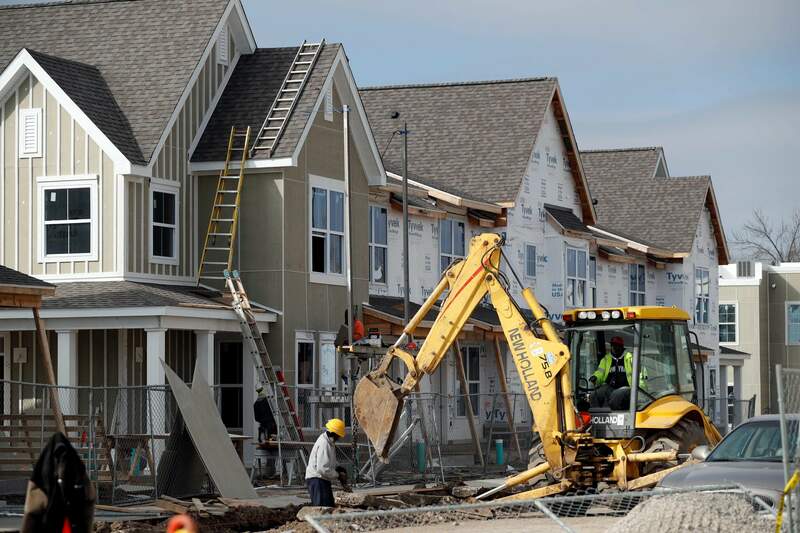 New housing starts fall across U.S.
Home building slipped 2.6 percent in January, led by a big drop in apartment construction, the Commerce Department reported Thursday. WASHINGTON – U.S. builders broke ground on fewer homes last month, led by a drop in apartment construction. The number of new housing starts declined 2.6 percent in January to a seasonally adjusted annual rate of 1.25 million, the Commerce Department said Thursday. The drop came after a much larger gain the previous month. Single-family housing starts rose 1.9 percent, while apartment building dropped 7.9 percent. Even with the decline, new home construction has increased 10.5 percent in the past year. That gain has been fueled by rising demand for homes as more Americans are looking to buy. Most economists saw Thursday’s report as a sign that higher mortgage rates aren’t yet dragging down the housing market. Many potential buyers are frustrated by a lack of available properties. The supply of existing homes fell in December to its lowest level since 1999. That has pushed up prices as buyers have had to bid against each other. Home builders have responded by ramping up construction, but the increases haven’t been fast enough to relieve supply shortages. In a positive sign, building permits, a gauge of future construction, rose 4.6 percent last month, led by a big gain in apartment permits. Single-family permits fell. Rising prices, a tight supply of homes and higher mortgage rates combined to slow sales of existing homes in December, when they fell 2.8 percent. Still, home construction has largely recovered from the housing bust that began a decade ago. In 2016, builders started work on the most new homes since 2007, the year the Great Recession began. Home building increased the most last month in the Northeast, where housing starts soared 55.4 percent, and the South, with a 20 percent rise. Developers broke ground on the most new homes in the South in more than nine years. Higher mortgage rates could exert a bigger drag on sales in the coming months. The average fixed-rate 30-year mortgage eased to 4.15 percent this week, down slightly from 4.17 percent the previous week. While that is still low historically, it is far above the average rate of 3.65 percent for all of 2016. Rates have been pushed higher because they have followed the yield on the 10-year Treasury note, which has risen because investors have anticipated faster growth and higher inflation since the election.